Bias declared: Kelsey Timmerman is a Matador community member. 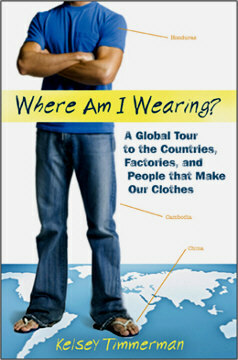 So of course we’re thrilled to see his first book, Where Am I Wearing?, hit bookstores everywhere. Luckily, when I was preparing to write this review, I never had to worry about that connection getting in my way. The book is such a pleasure to read that there was no conflict between my Matador loyalties and my obligation to give a fair review. Where Am I Wearing? 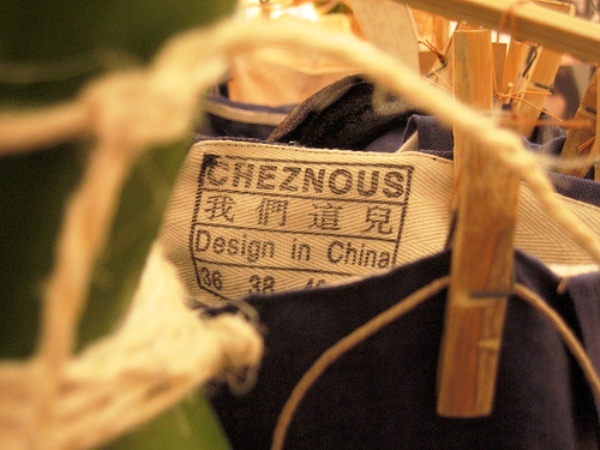 tells the story of Timmerman’s travels to Honduras, Bangladesh, Cambodia and China, in search of the workers who made his favorite clothes. Along the way, he interviews a supermodel-turned-activist, teaches children to play frisbee at the Phnom Penh city dump, and gets yelled at over a long-distance phone call by a corporate bigshot in California. The end result of all these adventures is a compelling mixture of personal anecdote, humor and insight, all informed by extensive research into the history and economics of the global garment industry. Where Am I Wearing? is neither an anti-sweatshop screed nor an in-depth economic analysis of global labor patterns. Timmerman has obviously done a lot of background reading, and the book is highly informative, but the facts are woven into the story rather than being delivered in hard-to-digest, expository chunks. Readers might also be surprised by the neutrality, or uncertainty, of the author at some points: being anti-sweatshop and anti-child labor, after all, has become the default position of nearly all progressive liberal types. But what Timmerman discovers is that — surprise! — things on the ground aren’t that simple. He asks some tough questions, of himself and the people he meets, and is disarmingly honest about the answers he finds, however uncomfortable they might be. So if WAIW? isn’t an anti-sweatshop rant or a regurgitation of global labor statistics, what’s it all about? The emphasis throughout the book is on the local people Timmerman meets: mainly workers, but also farmers, activists, bureaucrats, and even (gasp!) factory owners and management. It’s about their daily routines, their dreams for the future, and their concerns today. It’s also about the ways in which his meetings with these people change Timmerman himself, and his perspective as an average American consumer. This book may be an unusual mixture of travelogue, history, economics and activism, but throughout, it remains consistently honest, funny and insightful. Whether you’d like to learn more about the global garment industry, or you simply enjoy a good travel story, Where Am I Wearing? is worth cracking the spine on.